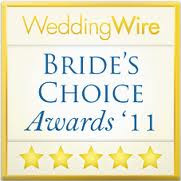 Here at Emily Weddings we are full of excitement as we gear up for another full season of fabulous 'I do's.' Today we would love to introduce you to one of our beautiful June brides. April and her fiance Tim will be married June 8, 2012 at the East Beach Bay Front Club. We can't wait to see their plans of coral and blue hues unfold. Please enjoy their adorable engagement photos, courtesy of Rebecca Keeling Studios.